You will need Node 6+ installed on your machine. Previous experience with React will be helpful. Long running tasks are a feature of many web applications which need to be handled properly to improve the experience of the user. In many cases, a static progress bar that doesn’t update until the end is provided which leaves the user unsure of how long a task will take or if progress is being made at all. We can improve this situation by making our progress bars show the actual progress of the task in realtime, and Pusher makes this really easy to do as you’ll see in the tutorial below. Previous experience with React is required to follow through with this tutorial. You also need to install Node.js (v6 and above) and npm on your machine if you don’t have them already. Installation instructions can be found here. Once create-react-app is installed, use it to bootstrap a new React project. Run the command below within the progress-bar directory. The above command will create a new directory called client and install React as well as its accompanying dependencies. It may take a while to complete, so sit tight and wait. Once it’s done, you should see a some information in the terminal informing you of what you can do next. Next, change into the newly created directory (cd client)and run yarn start to start the development server. Once the application compiles, you will be able to view it at http://localhost:3000. 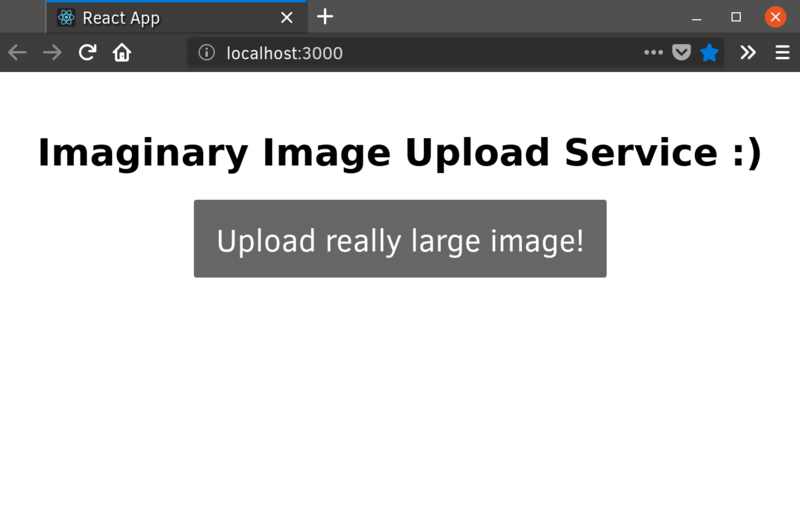 For this demo, we will simulate the common task of uploading a large file to the server. We’re not going to upload a real file; however, we’ll write a small Node script that will simulate the effect of a file upload. pusher-js is the client side SDK for Channels, while react-ladda lets us use the Ladda button library in our React app. Our React application consists of one button which, when clicked, will show the progress of the file upload. The componentDidMount() lifecycle method houses the logic for streaming upload progress to the app in realtime. We’re opening a connection to Channels using the subscribe() method which allows us to subscribe to a new channel called upload. Then, we listen for the progress event on the upload channel using the bind method and update the application state once we receive a progress update. Before you can integrate Channels into your application you need to sign up for a free account on Pusher. Once your account is created, select Channels apps on the sidebar, and hit Create Channels app to create a new app. Retrieve your credentials from the API Keys tab, and then replace the <your app key> and <your app cluster> placeholders in App.js with the appropriate values. Remember, your Pusher credentials can be retrieved from the API Keys tab on the Pusher account dashboard. We’re simulating an upload progress of 10% every two seconds, and triggering a new update on check increment. You can start the server by running node server.js in a new terminal window and try out the application by clicking the upload button. You should see the progress update in realtime. And that’s it! This is just scratching the surface of realtime updates using Pusher. Check out some other use cases for Channels, and as always, you can find the source code of this app in this GitHub repository.